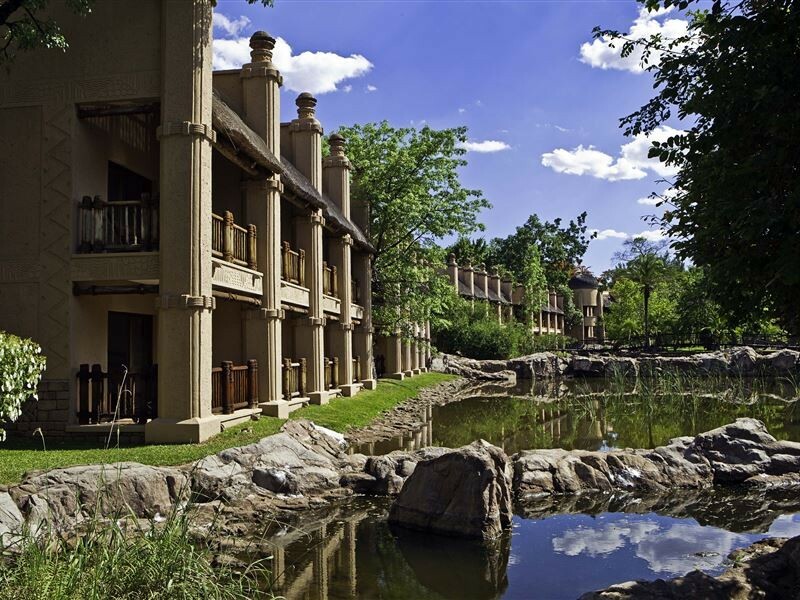 Built around a manmade water feature creates the impression that the 294 rooms have been built on a lake. 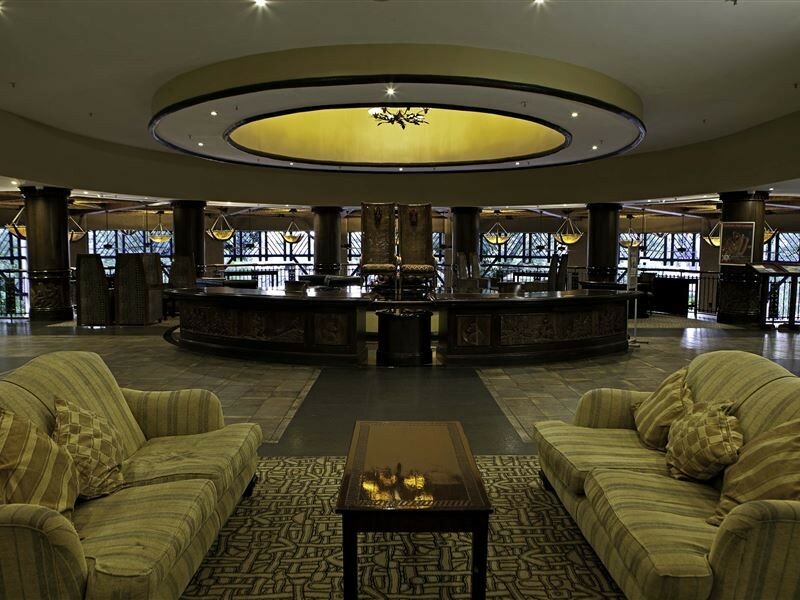 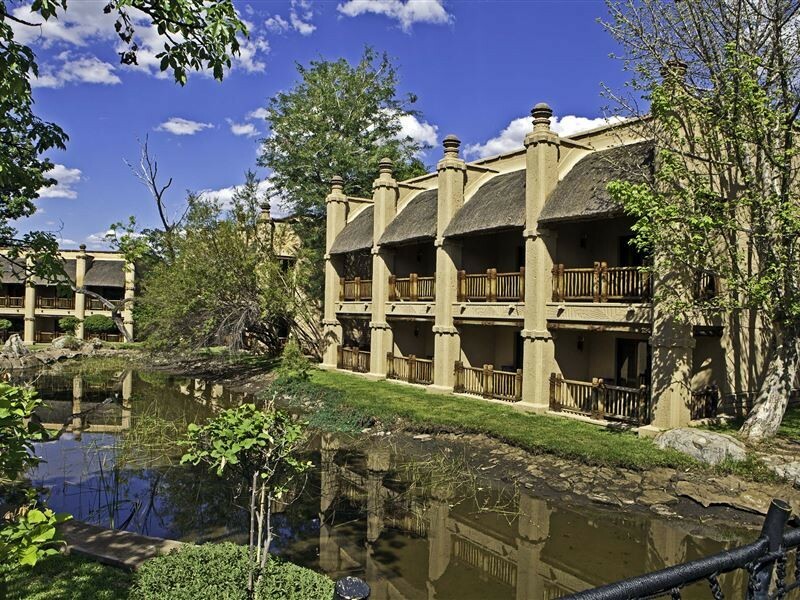 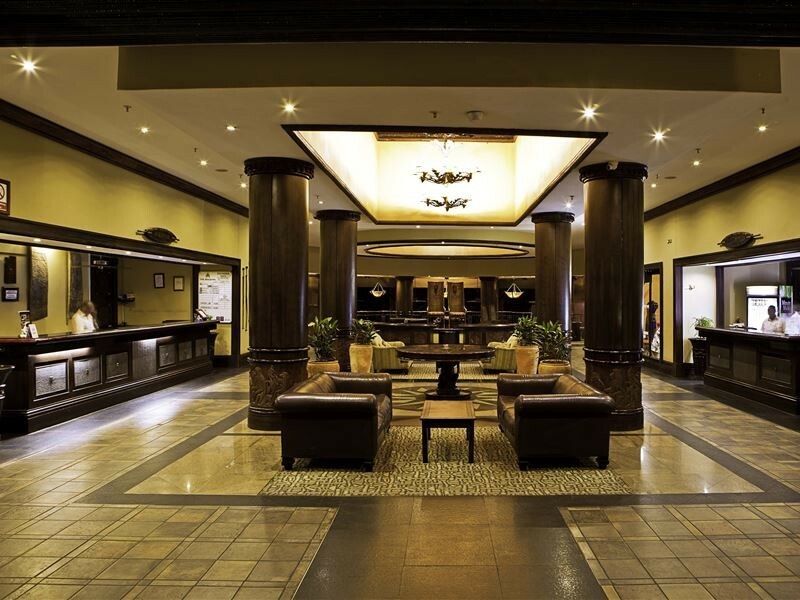 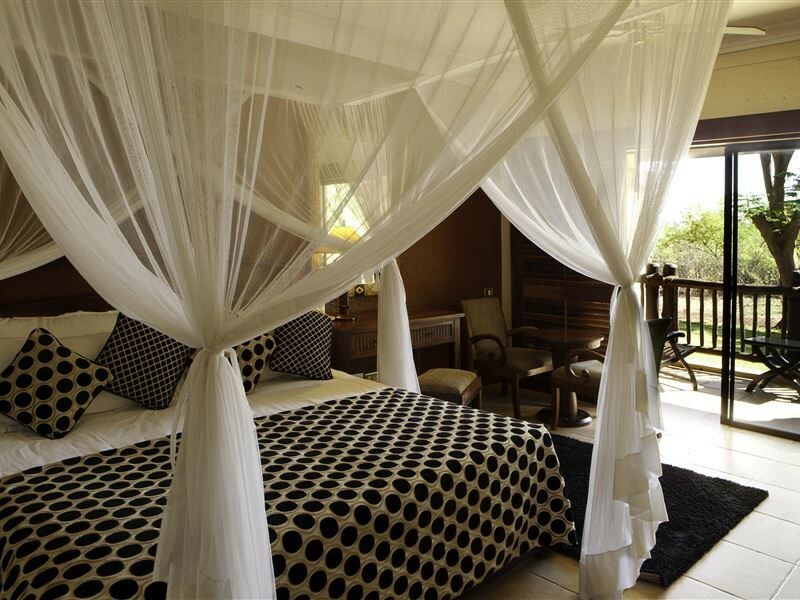 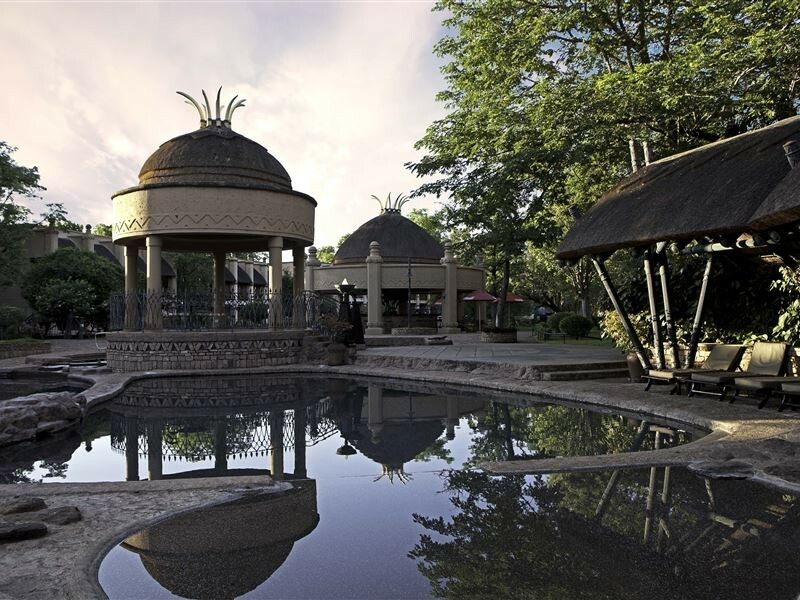 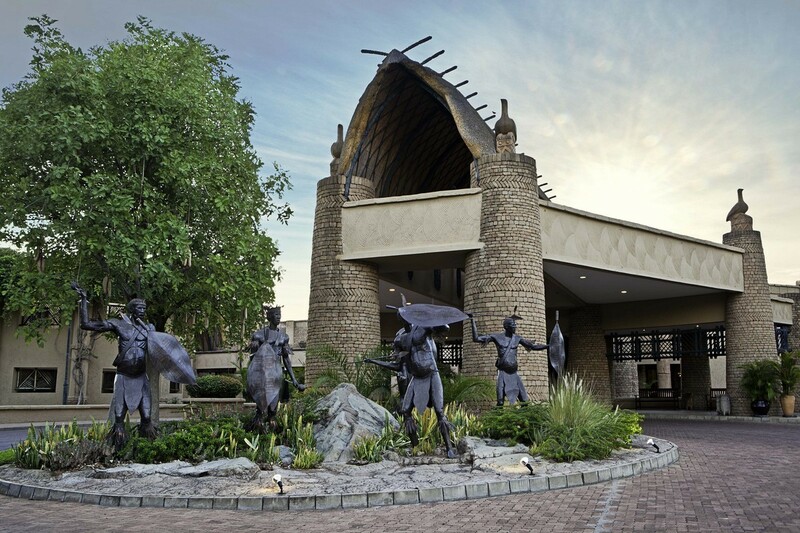 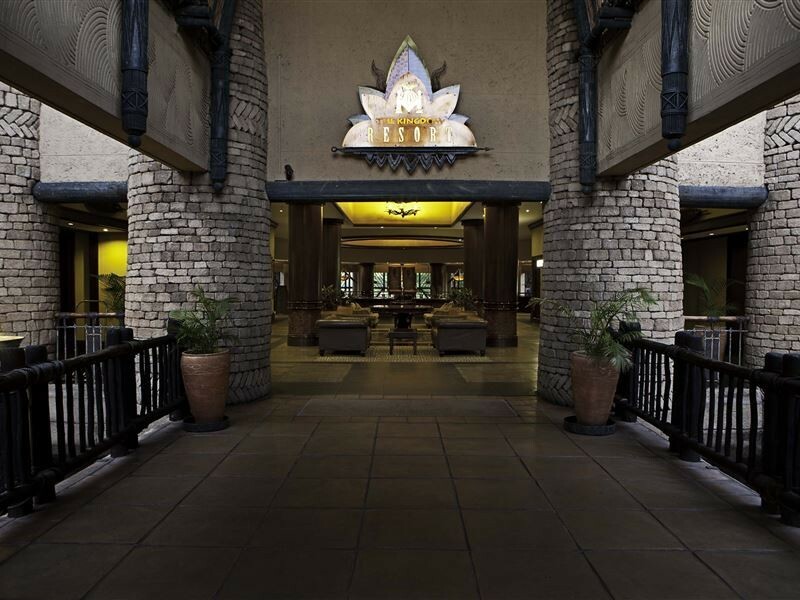 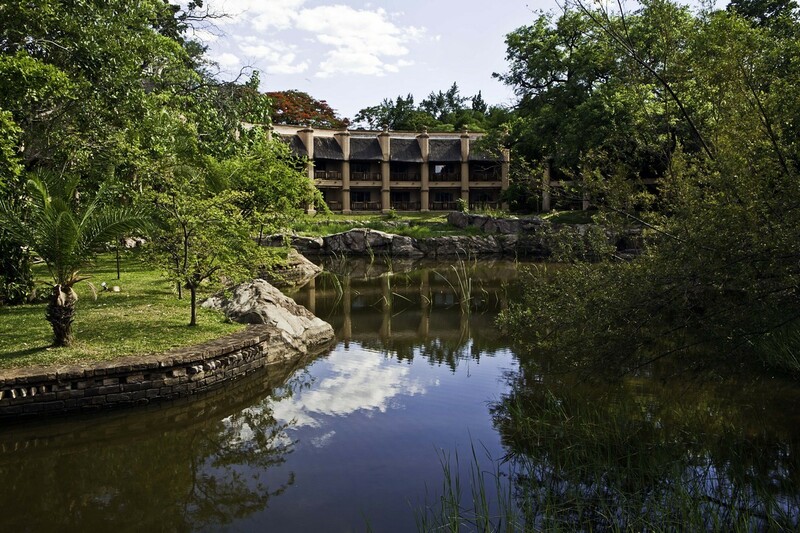 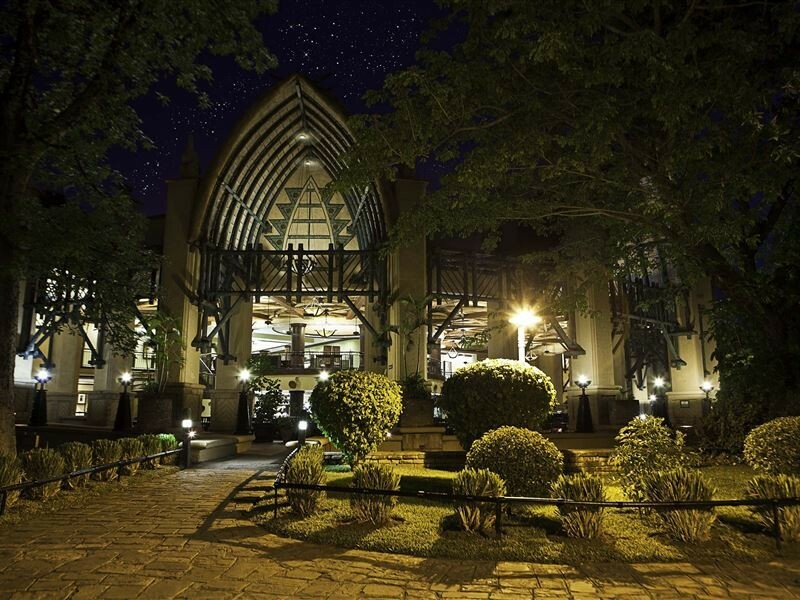 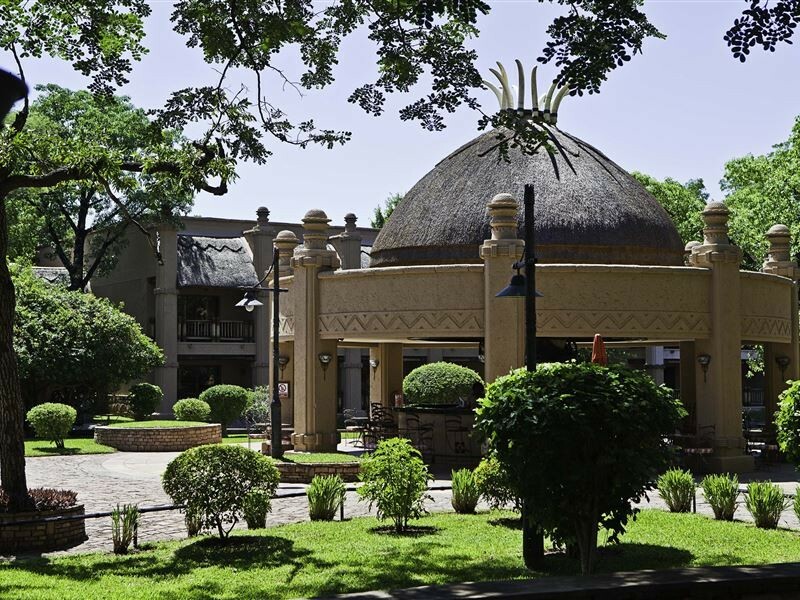 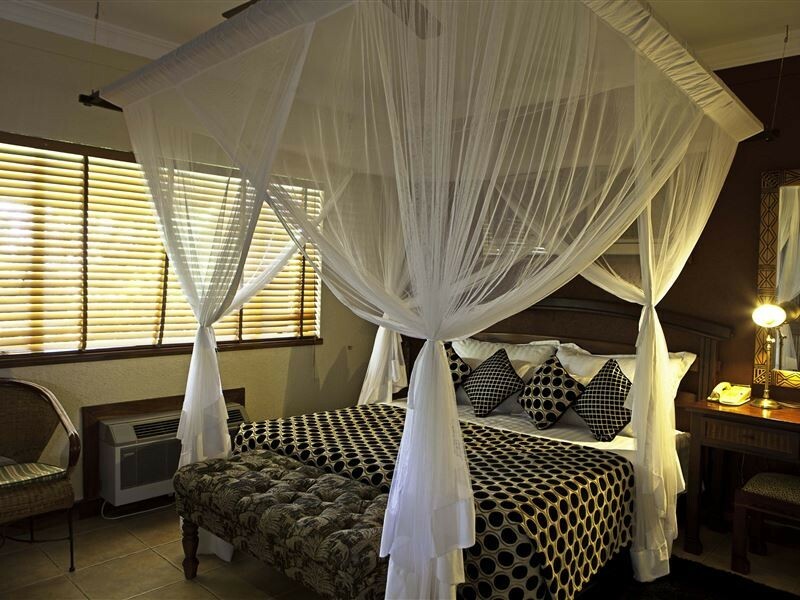 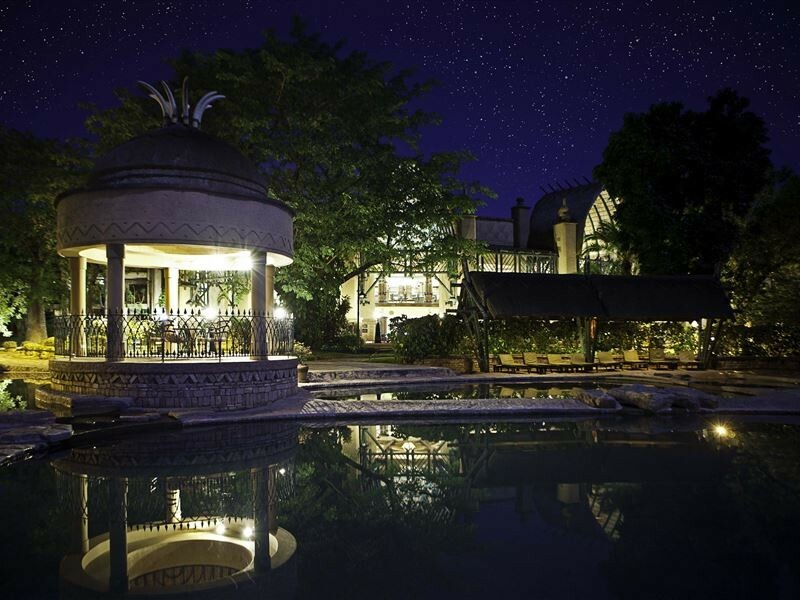 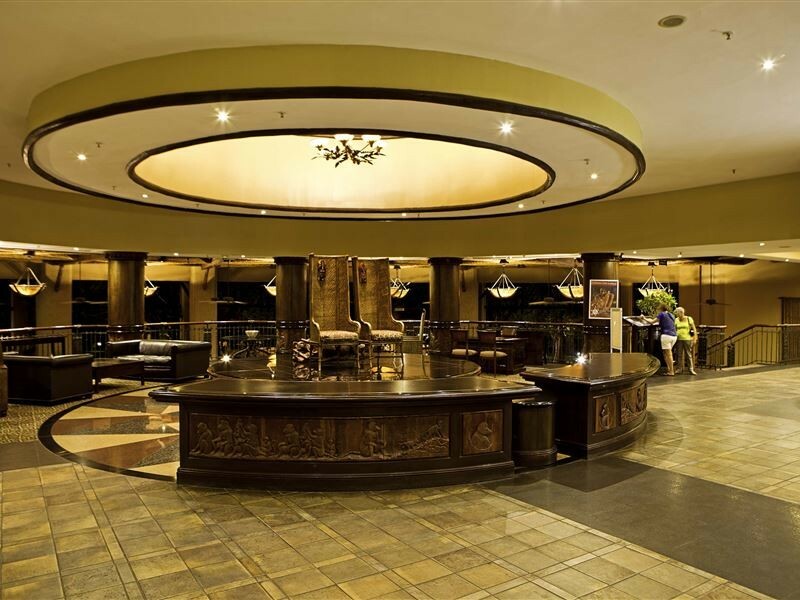 With a distinctive architectural design, based on the Great Zimbabwe monument in Masvingo, the Kingdom at Victoria Falls is 5 kilometres from the Elephant Hills golf course and 7 minutes’ drive from Victoria Falls. 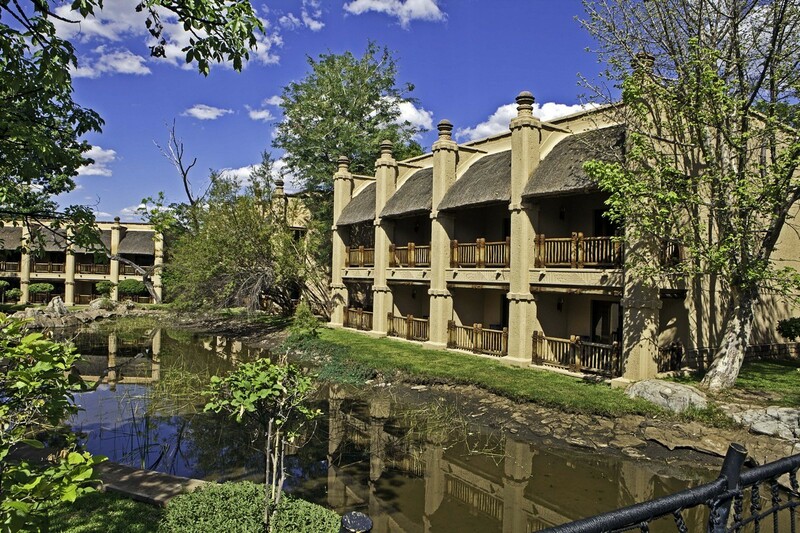 All rooms and Suites include individually controlled air conditioning, television, telephone, mini bar, hair dryer, tea/coffee making facilities, in-room safety box and complimentary Wi-Fi. 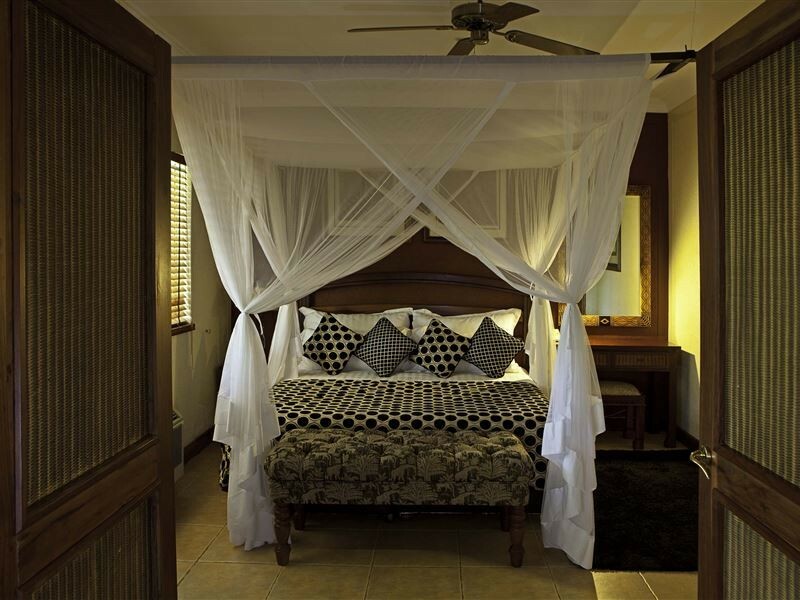 Standard rooms feature a double bed or two single beds, an en suite bathroom with shower and bath and views of the resort’s water feature. 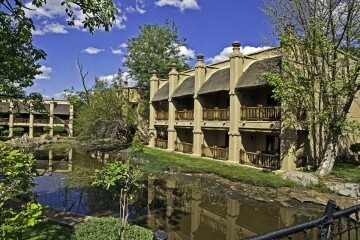 Family rooms offer a king sized bed or twin beds and a set of bunk beds and feature views of the resort’s water feature. 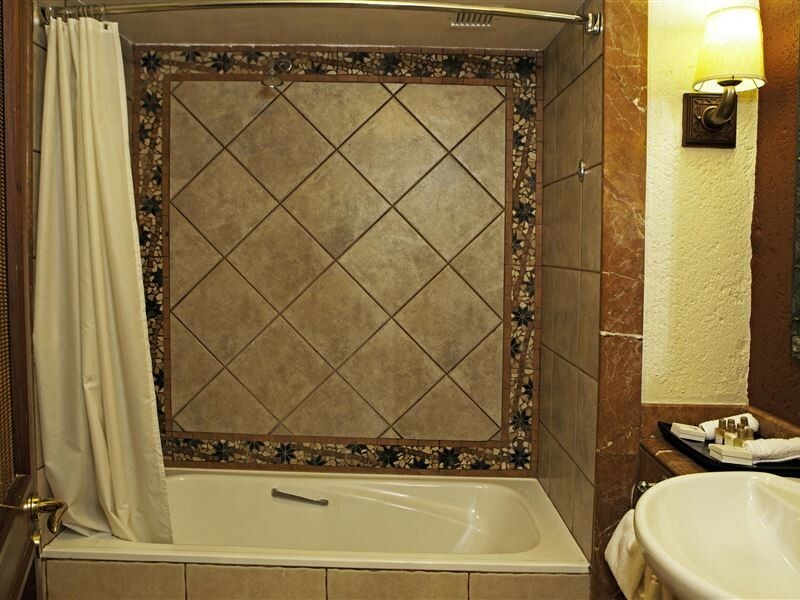 The en suite bathroom has a shower and bath. 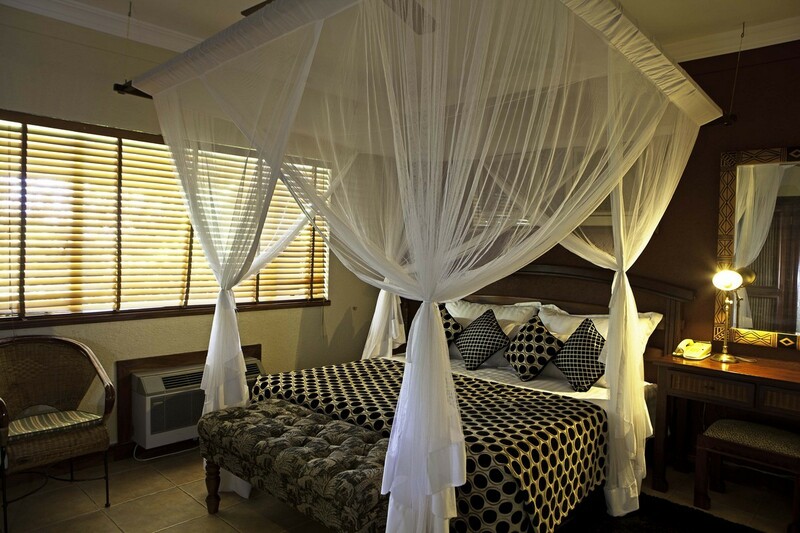 King Club rooms feature a king sized bed and offer additional benefits such as a personal hostess on call, a fruit basket and a bottle of sparkling wine on arrival and complimentary mini bar (replenished once per day). 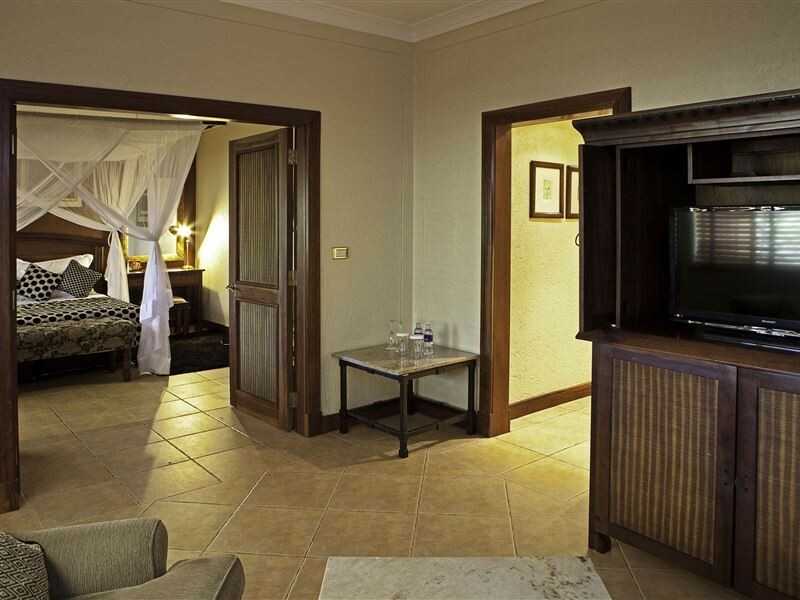 Standard Suite: Standard Suites feature a king sized bed, a living area and have views of the resort’s water feature. 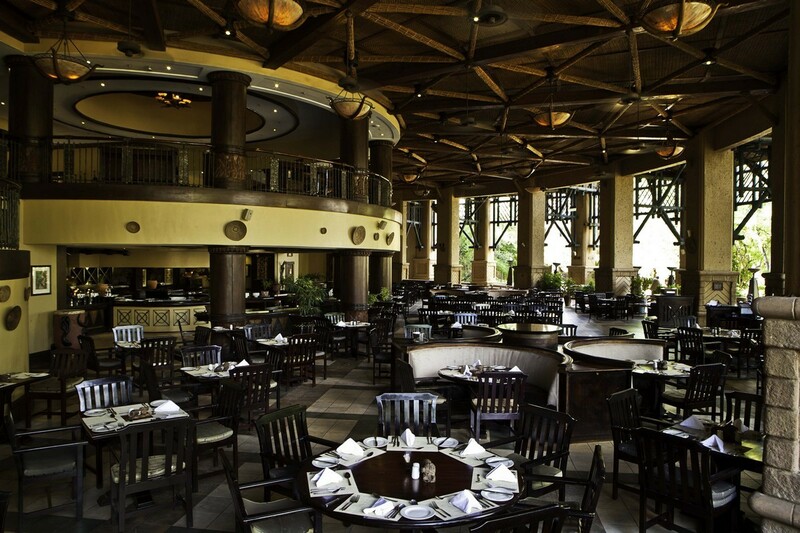 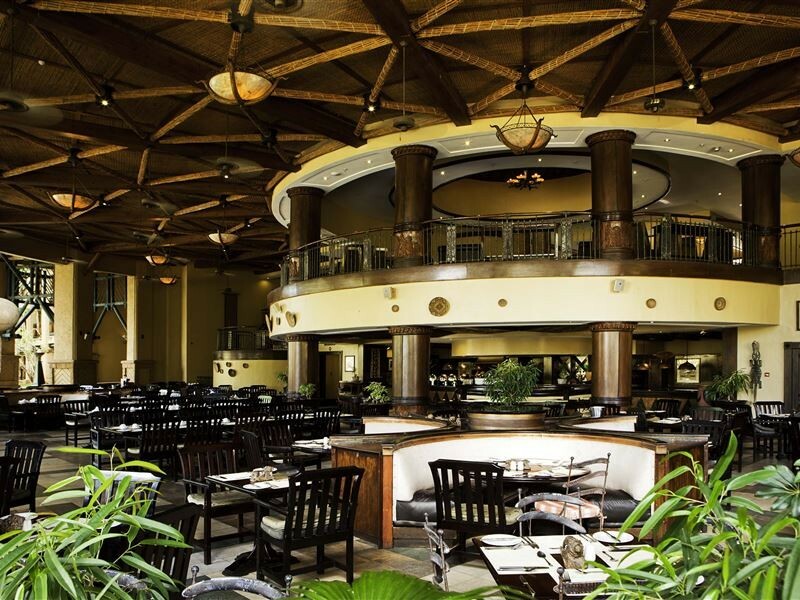 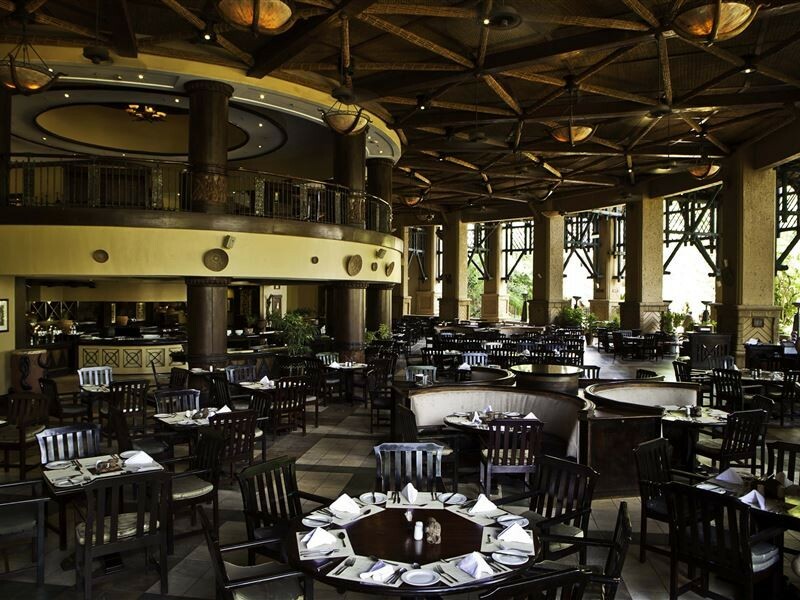 The hotel offers guests an array of dining options for all palates in a variety of settings throughout the property. 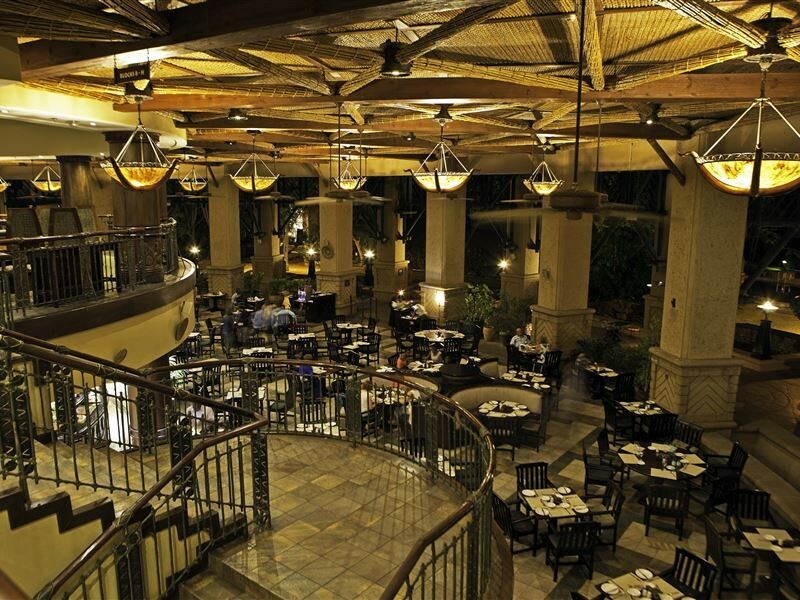 White Waters Restaurant: The main open plan restaurant, serving buffet breakfast and dinner. 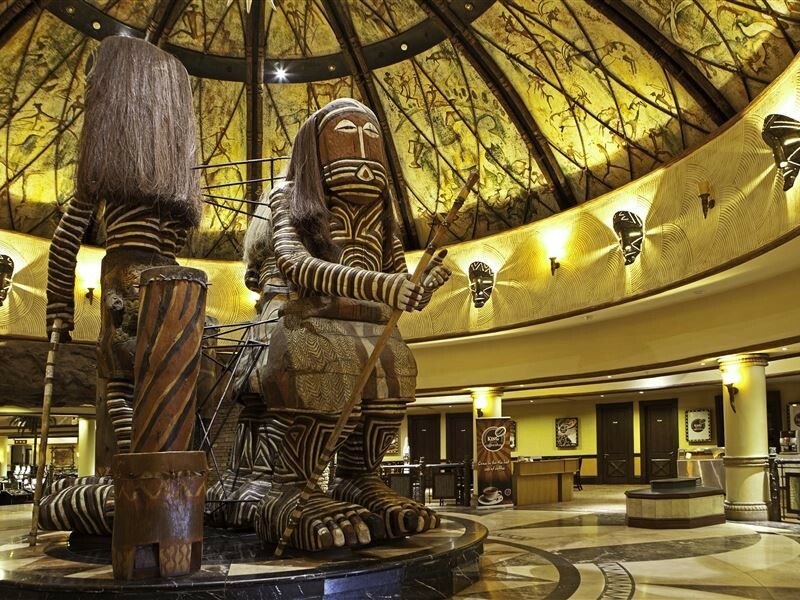 Evening entertainment is provided by live traditional dancers and singers. 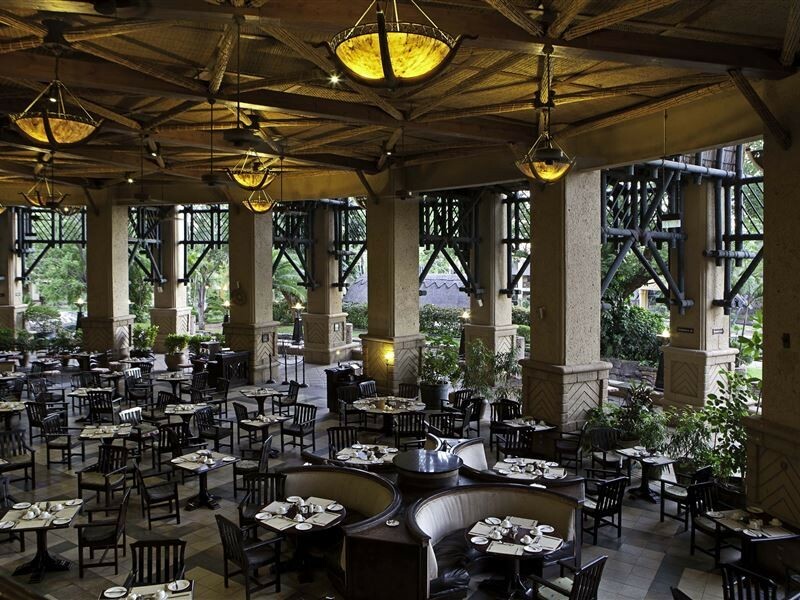 A poolside location offering a laid-back à la carte lunch menu and a selection of beverages. 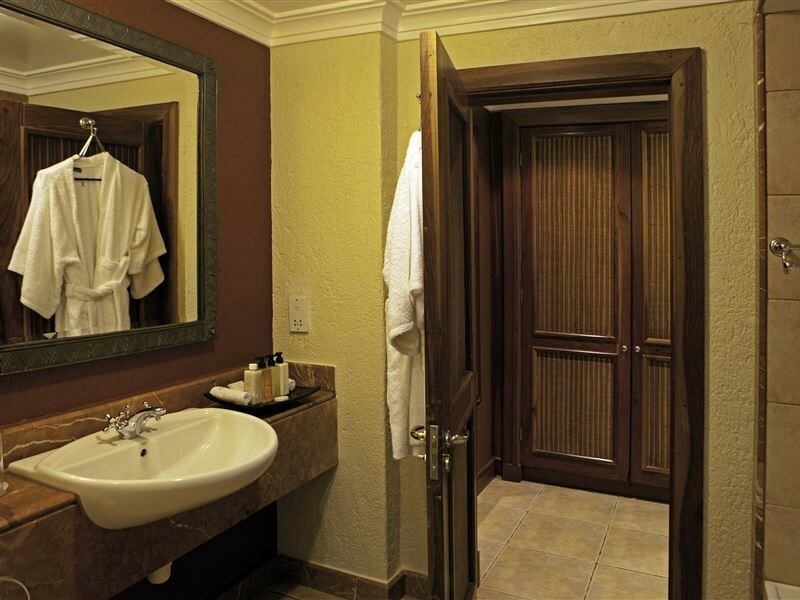 Two treatment rooms allow for massage services and a selection of beauty treatments.